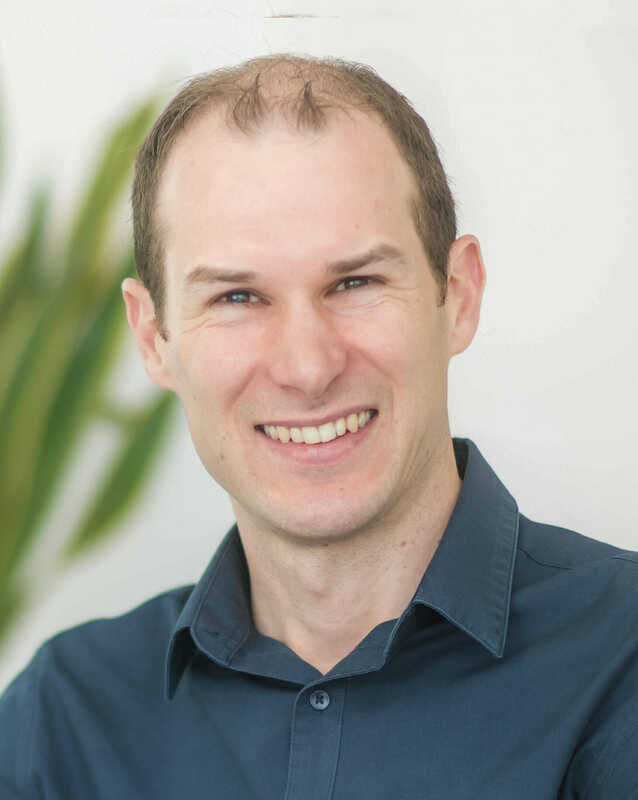 I decided to use my interest in astronomy and astrophotography to look at different types of observatories, with an eye on sourcing research material for realising an observatory in my back garden in Bathampton on the edge of Bath. Although this is probably a far-fetched dream, as a piece of design they hold a fascination for me. Observatories are a very specific building type and have only one purpose. If form follows function then one would imagine they’d all look the same? I sought to explore some examples and share my findings. 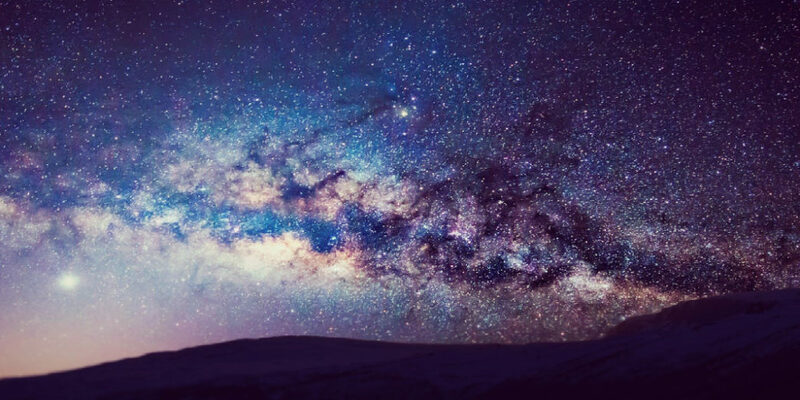 Like many of the high tech engineering projects we design at DKA, an observatory is there to house a complex piece of equipment (a telescope), protect it from the elements and allow it to see all of the sky from a suitably dark and remote location. It is therefore very static with strong foundations, but has complex moving parts – the roof must rotate and open, either completely or as a slot. I cannot think of another building type that is required to be so animated. I explained a little about the birth of large telescopes and their constraints including lens or mirror size (and quality), manoeuvrability and ability to capture light. Since the 1990s, the world’s largest telescopes in high and remote locations (Hawaii, the Canary Islands, Chile) have employed segmented tessellating mirrors meaning there is theoretically no limit on telescope size. 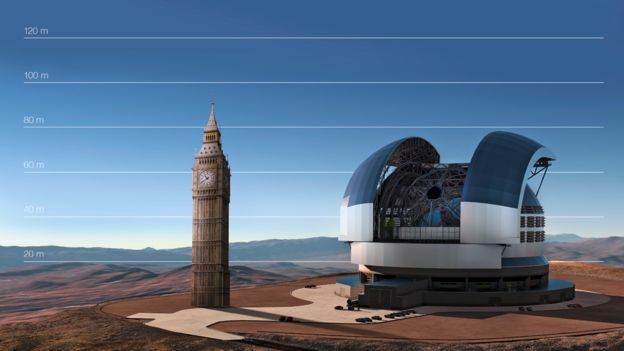 Big telescopes must also have hilarious names; recent examples include the Very Large Telescope (VLT), or Extremely Large Telescope (ELT) which itself was a scaled down version of (I kid you not) the Overwhelming Large Telescope (OLT). 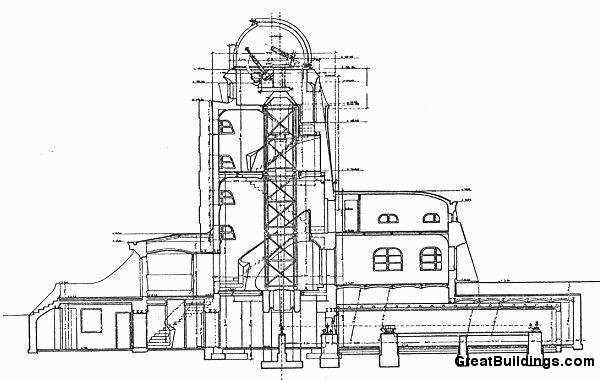 The telescope size impacts on the observatory size and complexity, but ultimate, all these examples broadly followed the standard observatory typology of base and dome. There are however a number of notable architectural solutions that buck this trend. 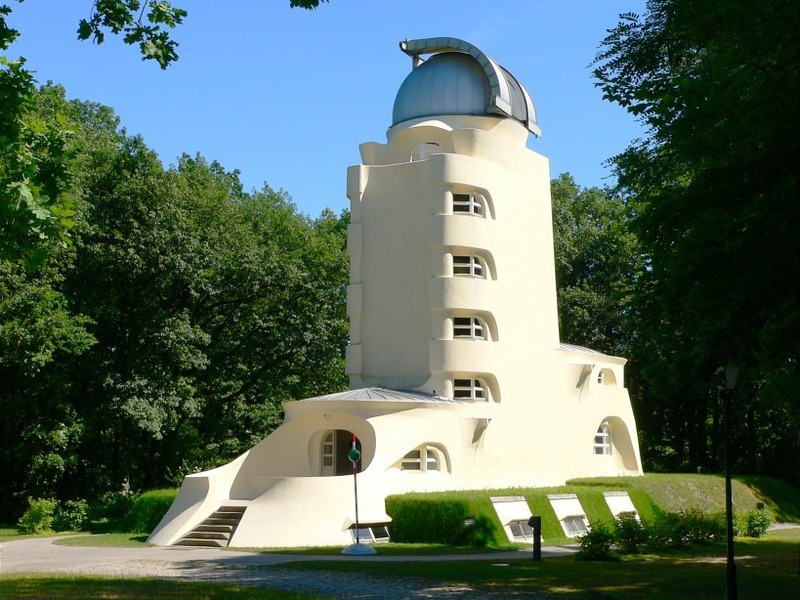 The solar observatories of the Einstein Tower (Erich Mendelsohn 1924) or McMath Pierce Observatory (SOM 1958-9) are both monumental forms and seemingly wilful designs, but actually rooted firmly in their scientific function. Both use subterranean observation rooms enabled by complex alignment of mirrors and light collectors. The Einstein Tower is one of my favour building sections, so I was pleased to learn that despite its energetic form, it’s actually providing a rigorous set of interior spaces that happen to also look magnificent. Talk about added value. If you’re looking for really remote, you can ditch the observatory and head into space. The success of the Hubble Space Telescope has paved the way for a myriad of specialist scientific cameras based beyond our planet. 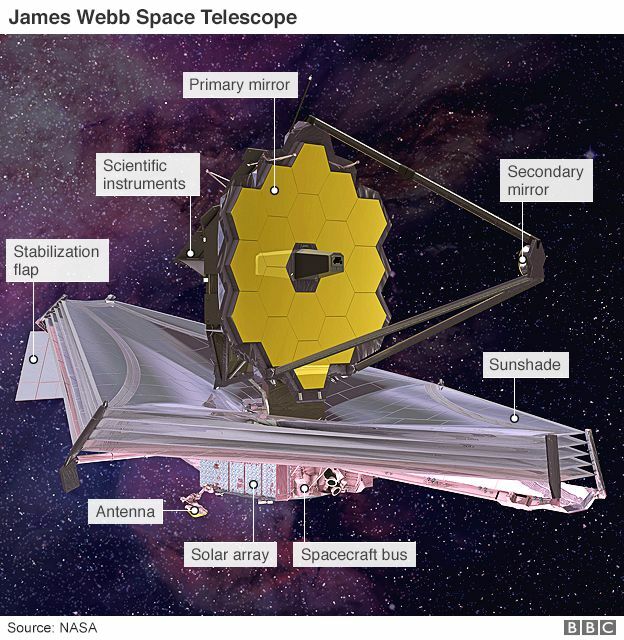 The latest and greatest of these will be the James Webb Space Telescope to be launched in 2018, located at a staggering 1.5million km from earth which will vastly improve the distance and resolution enjoyed by Hubble’s cameras. The very process of getting it into space, unfolding itself and its vast sunshield and then preparing for first light will be a fascinating feat of engineering and multi-agency cooperation. Einstein Tower, Albert Einstein Science Park, Potsdam, Germany built by Erich Mendelsohn. So bringing the discussion back to earth (literally) and the real problem at hand – how am I ever going to convince my wife to let me build an observatory? There will be deals and negotiations – possibly the counter offer of a Yoga Studio. 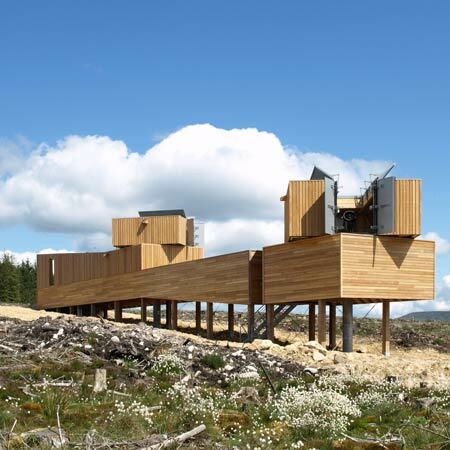 In terms of the design, it would be possible to build one myself – perhaps a scaled down version of the beautiful folding, rotating timber boxes at Kielder in Northumberland? There are also off the shelf options; a run-off roof shed, home domes from companies like Pulsar or Skyshed designed for suburban back gardens. 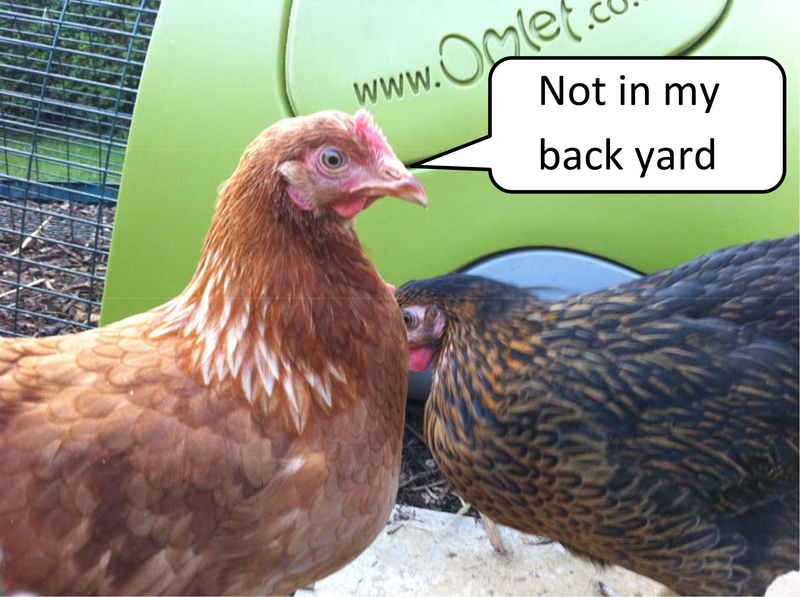 If by some miracle my wife is on board, I then just have to convince the nearest and most vocal neighbours – the chickens.